As already with Jamala, last year’s winner, a Crimean Tatar, who sang about her people’s deportation in her winning song 1944 . She showed remarkable tolerance herself this year, carrying on her half-time song without missing a note as an Australian stage-invader dropped his trousers in front of her. Kyiv is full of rather didactic posters. This one below reminds citizens that ‘To honour diversity is to respect yourself, others, and to be free’. 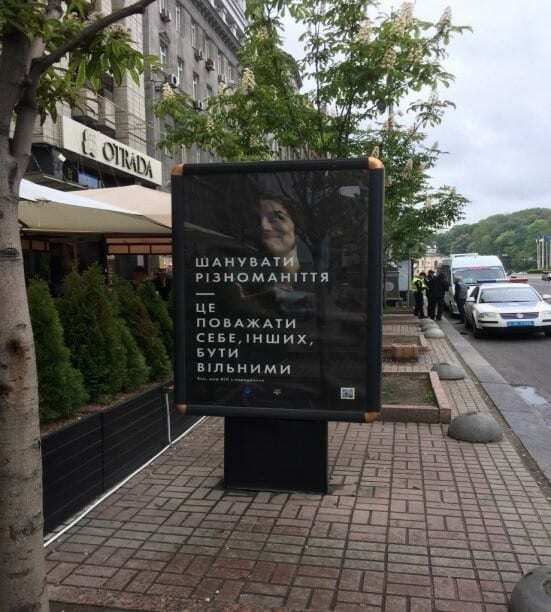 The metro also has controversial adverts for free HIV testing – controversial in Kyiv anyway. All well and good. 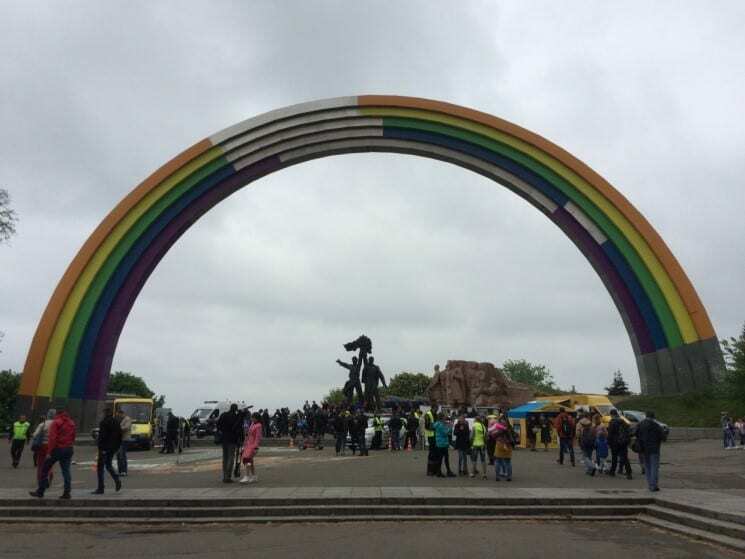 Though the perfect symbol for Ukrainian diversity is actually the ‘Friendship of the Peoples’ Arch’ above the river Dnipro, which became an informal gathering place for visitors to the city and outdoor karaoke spot in the run-up to the final. 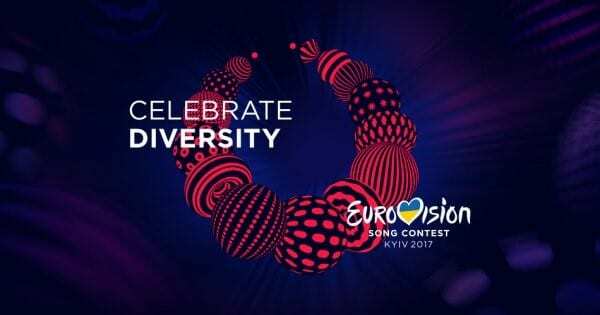 The arch didn’t originally represent the kind of ‘friendship of the peoples’ that Eurovision has in mind. 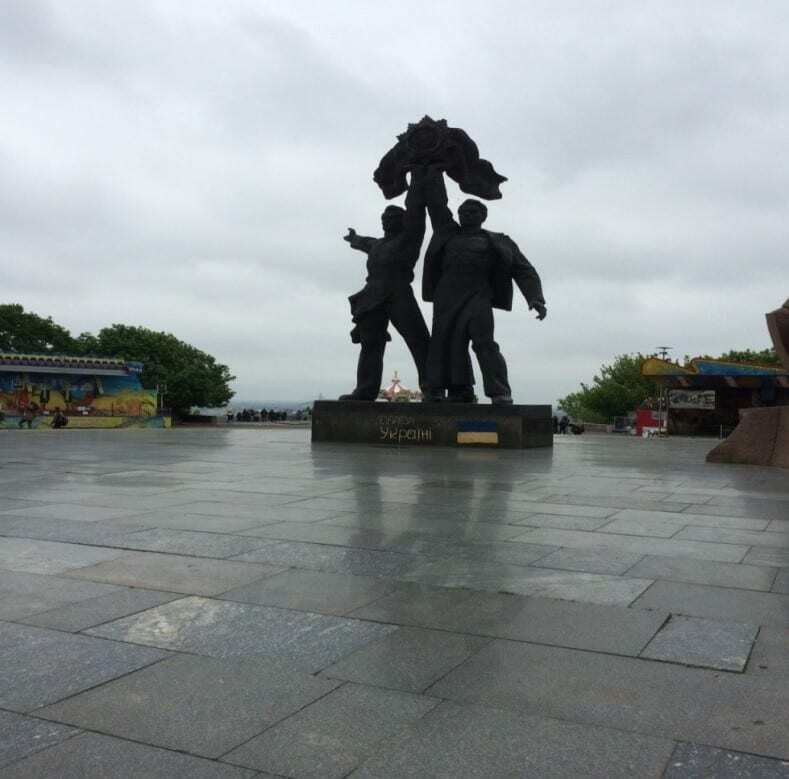 It was built in 1954 by the Soviet authorities, without asking Ukraine, to represent eternal unity between Ukraine and Russia. The figures on the left under the arch are Ukrainian Cossacks signing a treaty with Muscovy in 1654. According to Russian historians, this was an existential act of permanent union; according to Ukrainian historians it was just a tactical alliance. 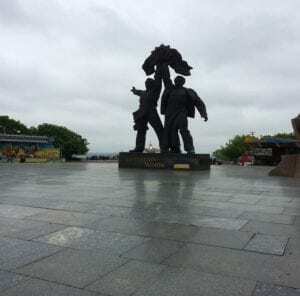 The monument put up in 1954 represents the first interpretation; which is why there are also two 1950s proletarians, one Ukrainian and one Russian, below the peak of the arch, also expressing the spirit of unity. But here’s the really interesting thing. The re-paint is only three-quarters’ finished. The painters were supposedly chased away by a bunch of Ukrainian nationalists. Which is a perfect metaphor for Ukraine as a whole – part of the way to Europe, but not all the way yet. 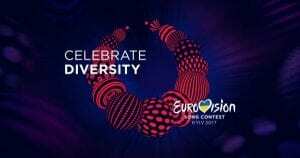 Some have speculated how long the spirit of diversity will last after the Final. Kyiv isn’t exactly a wheelchair-friendly city. Social care is extremely patchy. But the Final itself was marvellously good-natured. Everyone got a big cheer; even the Portuguese winner ironically, whose performance was a bit subdued live. He was probably better on TV. There were no regional favourites. The locals were just as dressed-up as the tourists. The big shadow over Ukrainian ‘diversity’ was of course Russia. The Russian entry was Yuliya Samoylova, who is young, female, glamorous and in a wheelchair. The Ukrainians fell into the most obvious trap imaginable by banning her, because she has performed in Crimea. But it’s Russia’s turn next, as it is still due to host the World Cup next year. Football is obviously a wholly different event, but will they put on as good a show? Ukraine, by the way, chose a rock band this year, and they didn’t really stand out. They came third to last, just above now perennially unpopular Germany and Spain. Welcome to Europe.